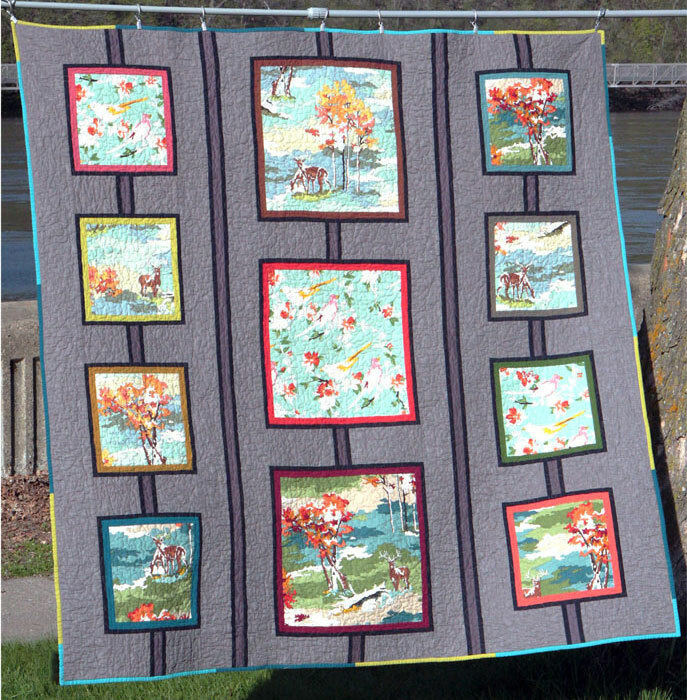 This pattern for this quilt is available here. This quilt came about because I had these beautiful fabrics that I didn’t want to cut up into pieces. I thought sewing up a quilt to look like a wall of framed photos was a fun idea! I am so pleased with it. The fabrics are from “Lush Uptown” by Erin Michaels. This quilt is the second side to a double sided quilt—the other side is my Anemone quilt.